Do you crave intentional ways to apply the transforming Word of God to your marriage? Use these beautiful scripture cards to meditate on God’s Word as you go about your day! Keep them in your purse, wallet, and bible. Hang them on your refrigerator and mirrors. Use them as constant reminders that God is working and moving in your marriage! Will you seek to keep God a priority in your marriage? Download your scripture cards today! Do you crave intentional ways to apply the transforming Word of God to your marriage? 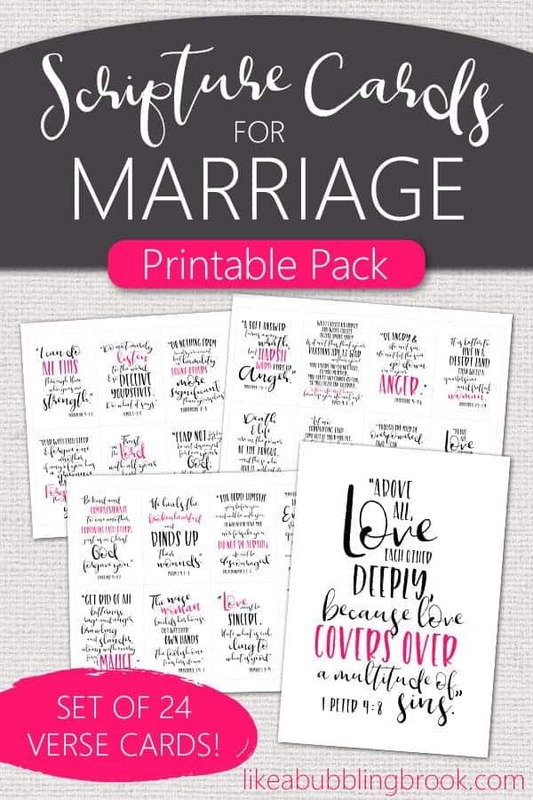 Use these beautiful marriage scripture cards to meditate on God’s Word as you go about your day! Keep them in your purse, wallet, and bible. Hang them on your refrigerator and mirrors. Use them as constant reminders that God is working and moving in your marriage!